Berkeley Lean LaunchPad | Berkeley's Capstone Entrepreneurship Class Applications are closed until Fall 2019! Berkeley's Capstone Entrepreneurship Class Applications are closed until Fall 2019! This course provides real world, hands-on learning on what it’s like to actually start a tech company. This class is not about how to write a business plan. It’s not an exercise on how smart you are in a classroom, or how well you use the research library to size markets. And the end result is not a PowerPoint slide deck for a VC presentation or a Y-Combinator Demo Day. And it is most definitely not an incubator where you come to build the “hot-idea” that you have in mind. This class combines theory with a ton of hands-on practice. Our goal, within the constraints of a classroom and a limited amount of time, is to give you a framework to test the business model of a startup while creating all of the pressures and demands of the real world in an early stage start up. The class is designed to give you the experience of how to work as a team and turn an idea into a company. You will be getting your hands dirty talking to customers, partners and competitors as you encounter the chaos and uncertainty of how a startup actually works. You’ll practice evidence-based entrepreneurship as you learn how to use a business model to brainstorm each part of a company and customer development to get out of the classroom to see whether anyone other than you would want/use your product. Finally, based on the customer and market feedback you gathered, you will use agile development to rapidly iterate your product or concept to build/design something customers would actually buy and use. Each block will be a new adventure outside the classroom as you test each part of your business model and then share the hard earned knowledge with the rest of the class. See http://steveblank.com/category/lean-launchpad/ for a week-by-week narrative. Check out the Syllabus for the Spring 2019 class. You can view the Syllabus for the Spring 2019 class here. Teams must interview with the teaching team prior to the class start date. Teams must submit a business model canvas and interview with the teaching team prior to the class start date. Non-graduates and non-students can serve as advisors to the teams but our priority is providing a learning environment for Berkeley Graduate students. There are no remote options for this course - you must take the class on campus. This is a very intense class with a very high workload. We expect you to invest at least 10-15 hours per week. Unlike a traditional classroom where the instructor presents lecture material, our lectures are online in LaunchPad Central (you will receive access once you are enrolled in the course). Watching the assigned lectures is part of your weekly homework. The information in them is essential for you to complete your weekly interviews and present the insights the teaching team will expect in your presentation for that week. We expect you to watch the assigned lectures for the upcoming week before class and we will use time in class to discuss questions about the lecture material and to provide supplemental material. You need to come prepared with questions or comments about the material for in-class discussion. We will cold-call students to answer questions about the online lecture material. You will be spending a significant amount of time in between each of the lectures outside the class talking to customers. Each week your team will conduct a minimum of 10 customer interviews focused on a specific part of the business model canvas. This class is a simulation of what startups and entrepreneurship is like in the real world: chaos, uncertainty, impossible deadlines in insufficient time, conflicting input, etc. Sitting in the back of the classroom are experienced instructors and professionals who have built and/or funded world-class startups and have worked with hundreds of entrepreneurial teams. We won’t be lecturing in the traditional sense, but commenting and critiquing on each team’s progress. While the comments may be specific for each team, the insights are almost always applicable to all teams. Pay attention. Startups communicate in a dramatically different style from the university or large company culture you may be familiar with. At times it can feel brusque and impersonal, but in reality is focused and oriented to create immediate action in time- and cash-constrained environments. We have limited time and we push, challenge, and question you in the hope you will quickly learn. We will be direct, open, and tough just like the real world. This approach may seem harsh or abrupt, but it is all part of our wanting you to learn to challenge yourselves quickly and objectively, and to appreciate that as entrepreneurs you need to learn and evolve faster than you ever imagined possible. This class pushes many people past their comfort zone. If you believe that your role of your instructors is to praise in public and criticize in private, you’re in the wrong class. Do not take this class. You will be receiving critiques in front of your peers weekly. The pace and the uncertainty pick up as the class proceeds. As part of the process, we also expect you to question us, challenge our point of view if you disagree, and engage in a real dialog with the teaching team. This means in total over the 10-week course you will have completed in the range 100 interviews. This class is team-based. Working and studying will be done in teams. You will be admitted as a team. Teams must submit a proposal for entry before the class begins. Projects must be approved before the class. In addition to the instructors and TA, each team will be assigned a mentor (an experienced entrepreneur, service provider, consultant, or investor) to provide assistance and support. This class hits the ground running. It assumes you and your team have come into class having read the assigned reading, viewed the online lectures, and prepared a set of contacts to call on. While your first instinct may be a web-based startup we suggest that you consider a subject in which you are a domain expert, such as your graduate research. In all cases, you should choose something for which you have passion, enthusiasm, and hopefully some expertise. Do not select this type of project unless you are prepared to see it through. Given the amount of work this class entails, there is no way you can do the work while participating in multiple startups. A condition of admission to the class is that this is the only startup you are working on this quarter/semester. Teams building a physical product must show us a costed bill of materials and a prototype. Your weekly LaunchPad Central narrative is an integral part of your deliverables. It’s how we measure your progress. Your team will present a weekly in-class Powerpoint summary of progress. 15% Individual participation in class. You will be giving feedback to your peers. 40% Out-of-the-building progress as measured by blog write-ups and presentations each week. 2) identify which team member did which portion of the work. Is this class for web startups only? No, anyone with any idea and preferably a product can form or join a team. What if I do want to test a web idea? Great. Only condition is that you have to get the site up and deliver the minimum product feature set during the quarter. What if I don't have an idea but want to take the class? Check out the link to Berkeley's Intellectual Property & Industry Research Alliances (IPIRA) here. You can work on your own idea, or if you like one of these ideas, you can work with the sponsor on one of these ideas. I feel my idea / Business Model may become a real company and the “next killer app” and I want to own it myself what should I do? Be warned that your slides, notes and findings will be publicly shared. Your team owns everything done in class. Discuss Intellectual Property rights with your team from the beginning. If you can’t come to agreement with the team, join another team, pick another project, or drop the class. Remember anything you do and learn in the class is public. NO. This is an open class. There are no non-disclosures. All your presentations and Customer Discovery and Validation notes, business model canvas, blogs and slides can, and more likely will, be made public. This class is not an incubator. At times you will learn by seeing how previous classes solved the same class of problem by looking at their slides, notes and blogs. Keep in mind that successful companies are less about the original idea and more about the learning, discovery and execution. (That’s the purpose of this class.) Therefore you must be prepared to share your ideas openly with the class. It is a forum for you to “bounce” your ideas off your peers. The teaching team consists of professors, GSIs, and a mentor per team. A mentor is an experienced entrepreneur, investor or consultant assigned to your team. They’ve volunteered to help with the class and your team because they love startups. Their job is to guide you as you get out of the building. Your mentor is expecting to meet with you at least every two weeks face-to-face or by Skype. You can email them or meet with them more often if they have time. I have a busy schedule and my mentor can't meet when I want them to. Mentors have day jobs. Asking them to meet or reply to you ASAP is not acceptable. So plan ahead to allow for a reasonable amount of time for a reply or meeting. Be concise with your request and be respectful of their time. You first stop is your TAs. Email or sit down with them during the week if you have a problem. Your professors have office hours every Wednesday, right before class. If you need something resolved sooner, email us. Traditionally, each team member is part of the customer development team. You have to figure out how to allocate the work. Prepare to work through difficult issues. If the situation continues, approach the teaching team. Do not wait until the end of the quarter to raise the issue. What if one of my teammates is not “pulling his/her weight”? Continual feedback weekly. Substandard quality work will be immediately brought to your attention. With a background that spans technology, product development, and entertainment, Steve Weinstein has been focused on where media meets technology. Currently Steve is the founder and CEO of MovieLabs. Steve is also the co-founder of KineTrope a small design shop for small consumer and professional electronics. Additionally, Steve is currently teaching entrepreneurship at U.C. Berkeley Haas and at Stanford. ​Previously, Steve served as CTO of Deluxe Entertainment, a 6,000 person post production house, and CTO at Rovi Corporation where he guided the transition from physical technologies to e-commerce, connected home, secure and subscription services. Additionally, Steve held the role of Chief Technology Officer at Vicinity, a mapping company acquired by Microsoft in 2002. Steve was also a founding executive and Chief Strategist and Technologist at Liberate Technologies, an interactive television software company. Further back in his career, Steve held executive-level positions at Microprose/Spectrum HoloByte (game company), Electronics for Imaging (print processing), and Media Cybernetics (image processing). Steve also was chief architect at Ship Analytics for real time ship, sub and helicopter trainers. Steve started his career at Naval Research Laboratory in the area of advanced signal processing, computer language design, and real time os development. Kim Polese is Chairman and co-founder of CrowdSmart, a data-driven startup investment prediction platform that harnesses human and machine intelligence to dramatically improve success rates of seed-stage investors while democratizing access to capital and expertise for the most promising entrepreneurs everywhere. Kim has a successful background as a founder and CEO. At Sun Microsystems Kim led the launch of Java in 1995. She has co-founded multiple software companies including Internet cloud software pioneer Marimba, serving as Chairman and CEO and leading the company to profitability, an IPO and a successful acquisition by BMC. 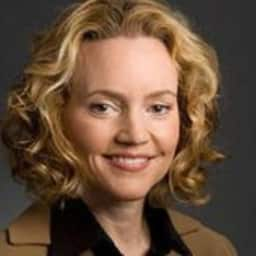 Kim advises numerous technology companies and serves on several boards, including TechNet, the Silicon Valley Leadership Group, the Public Policy Institute of California, UC Berkeley’s College of Engineering Advisory Board and the Long Now Foundation. During the Obama Administration she served on the Congressionally-mandated Innovation Advisory Board. Steve Blank is recognized for developing the Customer Development method that launched the Lean Startup movement. Blank has spent over 30 years within the high technology industry, founding or working within eight startup companies, four of which have gone public. He is the co-founder of Epiphany. Steve's startups include two semiconductor companies, Zilog and MIPS Computers, a workstation company Convergent Technologies, a consulting stint for Pixar, a supercomputer firm, Ardent, a computer peripheral supplier, SuperMac, a military intelligence systems supplier, ESL and a video game company, Rocket Science Games. In 2001 Steve moved from being an entrepreneur to teaching entrepreneurship. He teaches at at U.C. Berkeley, Stanford's MS&E department and the Columbia University/Berkeley Joint Executive MBA program. In 2009, Steve was awarded the Stanford University Undergraduate Teaching Award in the department of Management Science and Engineering. In 2010, I was awarded the Earl F. Cheit Outstanding Teaching Award at U.C. Berkeley Haas School of Business. In 2011 the National Science Foundation adopted his Stanford Lean Launchpad class. In 2007 the Governor of California appointed Steve to serve on the California Coastal Commission, the public body which regulates land use and public access on the California coast. Russ Holdstein is a long time angel investor and adviser. His investments have included such companies as Ask.com, StubHub, Zillow (Trulia), HotelTonight, Canary and Jawbone. Founder and past CEO of Payday, one of the largest payroll software services in the U.S., Russ grew his company onto Inc. Magazine’s list of the 500 fastest growing private companies in America and was named one to the Top Ten Entrepreneurs in San Francisco by the Chamber of Commerce. Russ became the Chief Financial Officer of Rolling Stone Magazine after a stint as a CPA with Ernst and Young. A current Lecturer in Entrepreneurship at Haas, Russ holds an MBA degree in Marketing from Indiana University. Professor Jerome S. Engel is an internationally recognized expert on innovation, entrepreneurship, and venture capital, lecturing and advising business and government leaders around the world. Most recently he has focused on lean innovation entrepreneurship and developing innovation ecosystems globally. After a successful business career, Professor Engel joined the faculty of the University of California at Berkeley in 1991 to found the Lester Center for Entrepreneurship and Innovation, where he currently serves Founding Executive Director Emeritus. At Berkeley he fostered the creation of an internationally distinguished program that provides entrepreneurship education across the University and its constituent community. 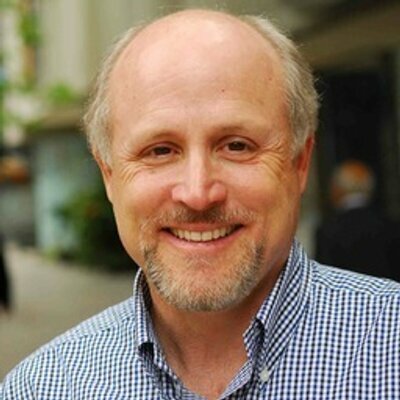 Professor Engel is currently the Faculty Director of The Innovative Organization and Venture Capital Executive programs at Berkeley Executive Education. He also serves as the National Faculty Director of the National Science Foundations’ I-Corps, a US government program that develops entrepreneurial technology commercialization teams at leading universities across the United States. He serves on the Boards of Directors and Advisory Boards of several entrepreneurial ventures, venture capital firms, universities and innovation centers around the world. Applications are now open for Spring 2019! - If you have an idea you'd like to incubate in Lean Launch Pad, but have not formed a team, OR if you want to participate in the class, but do not have a specific idea, start by filling out this form. - Check out other students' submissions here and start looking for teammates. LLP teams aren't created by professors. It's on you to find the right group and the right idea. We want organic, committed teams! To apply you need to download and fill in the application form and send it to the GSIs. "LLP Application - name of startup"
Questions? Check this page first. Otherwise email the GSIs.